If that is the main focus of Circle in your classroom, you are missing the boat on the true potential of this large group time and possibly setting yourself and your preschoolers up for boredom, frustration and very limited learning. Circle Time in most preschool programs is thought of as a time to “do” the calendar and weather; introduce a letter, shape, color, number or theme; and have Show & Tell. Many preschool teachers see this time as “real instructional school time” and the rest of the day as “play” time. However, this could not be further from the truth! First, What IS a Circle Anyway? Dictionary.com defines a circle as “a closed plane curve consisting of all points at a given distance from a point within it called the center”. So, it is a closed curve consisting of all points on that curve: meaning there is no beginning and no end. With respect to people, a circle is a universal simple, yet ancient, symbol of unity and togetherness. Again, it has no beginning and no end. Everyone in the circle is an equal part of that group. How SHOULD Circle Be Carried Out? With these definitions of a circle in mind, every person in the circle should be an equal part of the group where each one’s thoughts, ideas and conversations matter and are respected. This is one of the few times in a preschool day where the entire group gathers as one. It is the perfect opportunity to help them to grow and develop. In addition it is the perfect opportunity to help them to be an active part of that growth and development! This large group meeting time provides preschool children with the opportunity to grow and develop in ways that are developmentally appropriate for their age and therefore, prepare them for school. 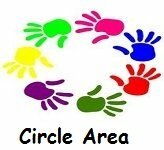 Properly planned, Circle time will help your preschoolers develop in ALL areas of development. ALL? Yes! To see more about how, review the Interest Learning Center Page about the Circle Area. There is so much that can happen to help your children grow and develop at Circle! Conversely, there is also much that can happen to discourage and hold children back at this area. DON’T allow this or any large group time to go on too long. Consider this: The average class length in most high schools in the United States is 38 minutes. Why? Neurons can only focus on one activity for that long before “burning” out. Why would we expect preschoolers’ brains to attend for time spans that brains 10 years older cannot handle? DO: Plan activities based on the time frame we know groups can stay focused. The average preschooler’s GROUP attention span at the beginning of the year is 5 minutes for 3 year-olds and 10 minutes for 4 year olds. Their attention spans will become longer throughout the year. DON’T expect your children to sit still, remain totally focused with hands on lap, while you “impart” all of your knowledge upon them! They, like adults, need to be involved or all they will hear is the Charlie Brown teacher voice of “Wah. Wah. Wah. Wah. Wah. Wah. Wah.”! Do a group movement activity or dance to get their bodies moving and their brains reactivated! Then Passive: Read a story or poem or finger play. Then Active: Pass out props to introduce a new material or concept. Then Passive: demonstrate the new material or concept. Then Active: Closing song or movement. Passive: They sit again while you finish the letter, then number, shape, color of the week. This still qualifies as focused time on ONE topic.....failing the rules of #1 above! I include Circle Time ideas in all of my Themes! Have a different theme sent to you each month! 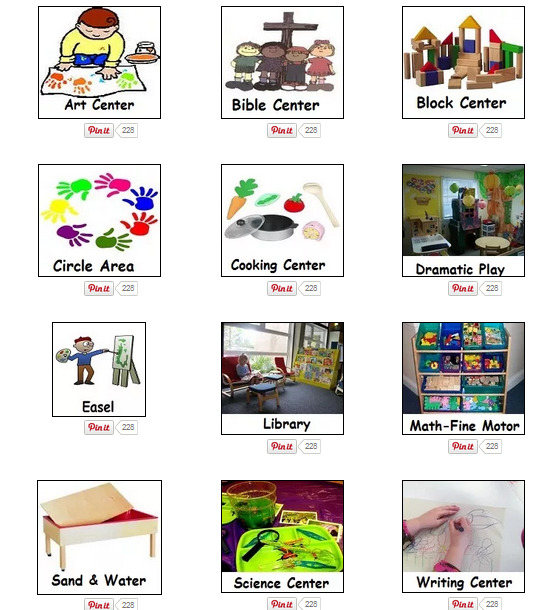 Each theme includes enough activities (including Circle Time activities!) for a full week of planning. AND you'll receive free printable activities including an activity mat or game, calendar pieces, an 8 X 10 song poster and more) with each theme! Plan your schedule with appropriate goals and time frames in mind. Predictability is important for preschoolers. It creates a sense of security and time for them. Knowing that Circle happens every day is healthy! Knowing that we “always sing our hello song and do the weather” each day is healthy. But, it does not have to become stale! DON’T be a slave to your own expectations of “getting through” everything—weather, calendar, shape or color introduction, story, songs. This type of self-induced pressure will make this time miserable for you and the children will know it! When you feel you “have to” hurry or rush through everything for the sake of getting through your own litany list of information you want to TELL them, you are missing out on the opportunity of discussing information and learning about things that you all can SHARE together. DO plan on “getting through” what will keep your children engaged and involved in this rare large group time of learning and bonding. Remember, this is a time of community and sharing as well as learning. Allow those longer descriptions of a child’s trip to the zoo. Scrap your color introduction. Consider adding another Circle Time throughout your morning or day as your story time or concept time. DO Plan Circle Time the same way! Sure, you can still do the daily basics (introduction song, weather, days of the week song and introducing a new shape or color)! However, this is a very small part of your circle time! Introduce the concepts and themes differently each week. Rather than introducing a triangle via a flashcard, bring a mystery box with triangle block in it to Circle Time. The children reach in and feel it. “I wonder what shape this is. Does it feel like a circle?” Create a chart for their guesses). Rather than introducing your new theme, Transportation, by telling them "We are learning about ways to get from one place to another. It is called Transportation.”, set out a car, truck, airplane, train, bus, and bicycle. You grab a book off the shelf on your way to Circle Time to read because “We HAVE to read a story, it’s circle time”. After you have done your traditional weather, calendar, storytime, etc., you feel empty. Your children lose attention quickly and you (and they!) feel frustrated each day at Circle. DO be intentional about what you want to share WITH (not AT) the children by planning at least a week ahead of time as you do any other activity. Circle activities should be part of your lesson planning, not thrown together each morning. Think about, for example, planning art activities for the week. You don’t set out the exact same materials every day. You planned for the children to explore and work with different mediums (perhaps finger painting, brush painting, gluing a collage and stamping). DON’T be in a position where you (or a coworker) need to gather items or find a book while the children are gathered for Circle Time. Pre-read the stories so you know the story-lines and can therefore be prepared to change the inflection or tone of your voice while reading or so that you have time to think of fun ways to read the books (using puppets or flannel stories). Gather the items/props you will need in advance (the day before or prior to the children arriving). You have their attention for a short time—don’t waste any of it by running around looking for items! You and your co-workers need to be in the Circle Time zone—physically AND mentally! Have personal discussions with co-workers or parents when your children are at Circle ready to go. You will lose them! “Sit quietly and listen and then we can have center time”. These are not appropriate management tools nor are they effective with a group. Further, they set the children up to think that Circle is not enjoyable but rather something they “have” to do. Another example I’ve heard that should never be used…. “If you do not quiet down, I’ll be telling your Moms” or “I’ll call your Mom or Dad”. If you find yourself saying or doing these things, you should look at your activities and why your children are losing focus. Ask a coworker or the director to observe a circle time and give feedback so you can brainstorm together. DO: Be prepared to end a story or activity when you see many of the children’s attention waning or slipping. Give yourself permission to say things like, “I think we all need to get our wiggles out. Let’s stop the story and do the Hokey Pokey!”. Or even, “I think we have been sitting a long time! Let’s go to our next activity and later today, we’ll read this exciting story!”. In short, when you see your preschoolers’ attention waning, change the activity or end Circle Time on a positive note. It is OKAY to end early and move on to the next activity! Remember, DON’T be a slave to you lesson plan, be an observer of your children’s attention spans and abilities from day to day! Here are more articles that might interest you! that includes Circle Time ideas and More each month!